The LeCroy WaveRunner® Xi-A is the most powerful and capable scope available in its class. Basic system validation using advanced triggers, fast viewing modes, measurement parameters, or serial decodes is simple and easy. Advanced debug, multi-domain analysis, and waveshape analysis are possible with tools unique to WaveRunner Xi-A. Optional application packages help you make sense of well-defined problems. WaveRunner Xi-A is the most complete “problem solving” oscilloscope from 400 MHz to 2 GHz with great performance, an unbelievable big display/small footprint form factor, and a multitude of fast viewing, SMART/serial data triggering, scanning, and WaveShape Analysis capabilities for fast or slow signals. required to debug and validate your signals, it goes deeper into your testing to help you understand the causes of complex problems. 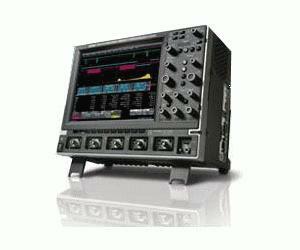 The WaveRunner MXi-A oscilloscopes provide all of the powerful debug and analysis tools of the Xi-A models, with the addition of advanced Math and measurements, jitter and timing analysis, and customized math and measurements. The WaveRunner MXi-A provides all of the essential tools for efficient validation and debug.